There’s no decade in American history more fascinating than the 1920s. 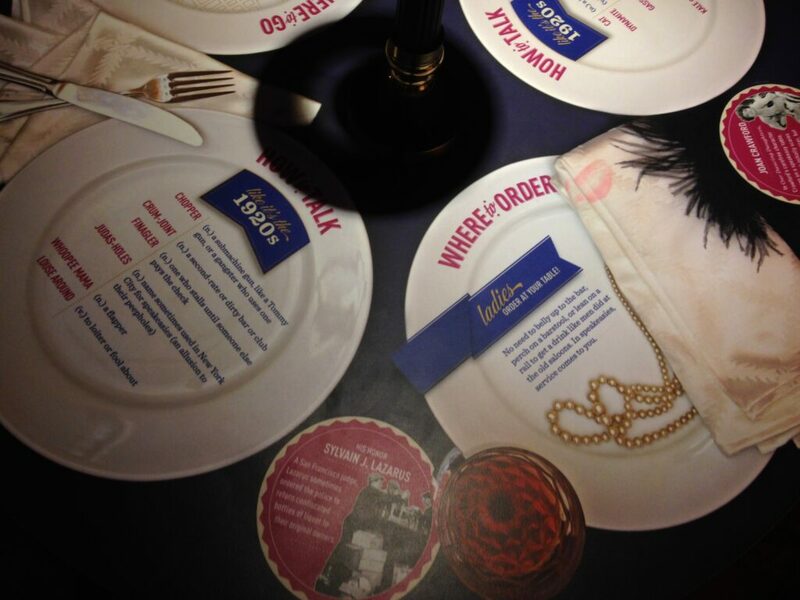 Jazz-filled speakeasies, scandalous flappers, glitz and glamour—I love it all. 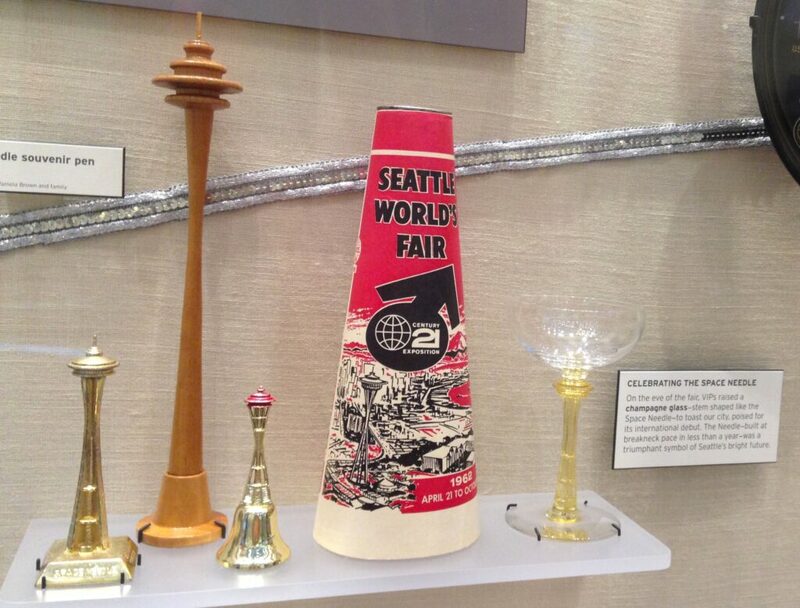 So I was understandably excited when I heard that American Spirits: The Rise and Fall of Prohibition was coming to Seattle’s Museum of History and Industry (MOHAI). 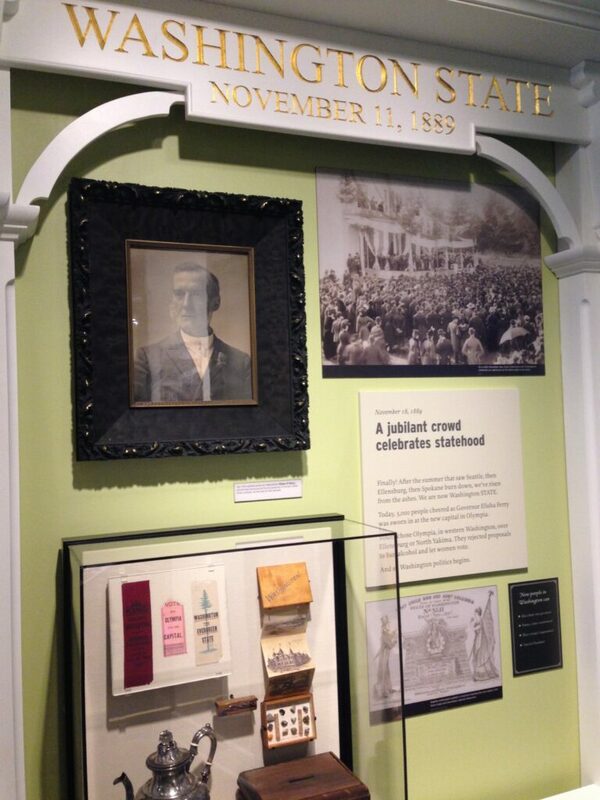 An exhibit dedicated to the story of Prohibition…including a re-created speakeasy? I was in. As I walked up to MOHAI on a sunny April day, Lake Union was bustling with activity. 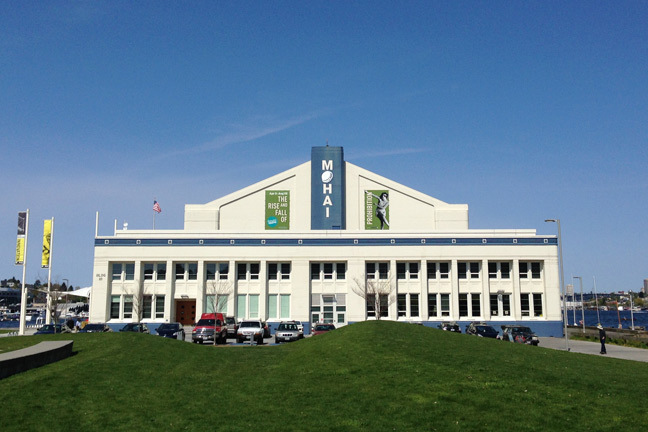 Perched on the lake’s edge in a former Naval Reserve Armory, MOHAI’s location is truly picturesque. While I stood outside watching the sailboats cruise by, a sea plane from neighboring Kenmore Air swooped low overhead. Quintessential Seattle. Once I stepped through the museum’s front doors, my gaze was immediately drawn upward. Spanning two floors, MOHAI’s enormous atrium houses Boeing’s first commercial airplane, the 1919 Boeing B-1. 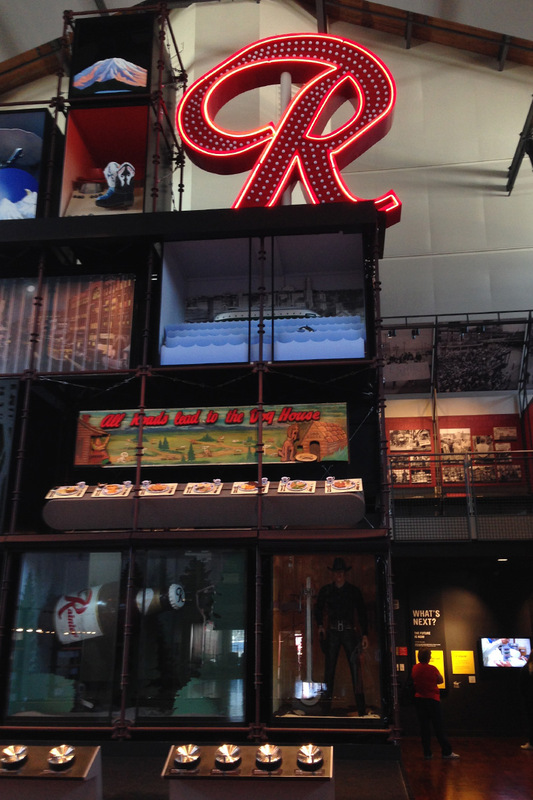 To the right, a giant installation of Seattle cultural icons stretches from floor to ceiling, topped by a 12-foot-tall “R”—Rainier Brewing Company’s iconic sign. Fun tip: Be sure to make the Rainier sign blink on and off! I then continued to the second floor, which is mostly taken up by an exhibit about the history of Seattle, from its pre-pioneer days to today. I have to admit, aside from my obsession with the 1920s, I am not a history buff. Far from it. So I didn’t think I’d last long in True Northwest: The Seattle Journey. I was wrong. Over an hour later, I was barely through the WWII section of the exhibit and was enthralled. What makes this exhibit so special is that it is both interactive and fun—enough even to keep this girl entertained. The highlight for me was definitely the Great Fire Theater, a cheeky, operatic show that tells the story of the Great Seattle Fire of 1889. I won’t give it all away, but the glue pot responsible for starting the fire does have a heart-wrenching solo. Was it right to giggle about a fire that wiped out 25 city blocks? Maybe not, but it certainly was way more fun. After all of that, I (finally) made it to American Spirits, ready to immerse myself in the tale of Prohibition. 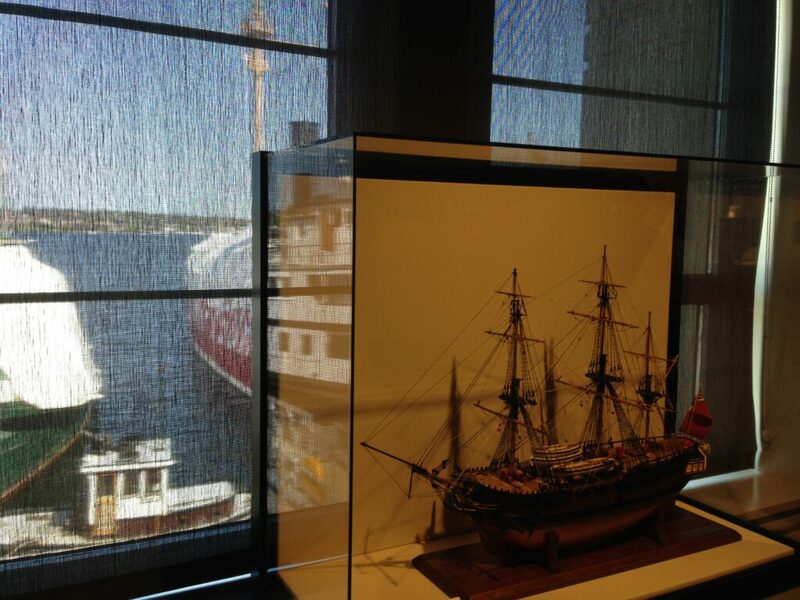 Tucked into a corner of MOHAI’s second floor, the exhibit isn’t large. But what it lacks in size, it more than makes up for in richness. Want your mug shot taken with notorious bootleggers (including Al Capone)? You got it. Want to play a rum running video game? Sure. Want to learn the Charleston in an honest-to-goodness speakeasy? Done. What I hadn’t expected was that this exhibit covers more than the 13 years of Prohibition in the United States (alcohol was banned by the 18th Amendment from 1920 to 1933). It starts well before 1920—back in the 1800s, in fact, when the average American was drinking the equivalent of four shots a day. 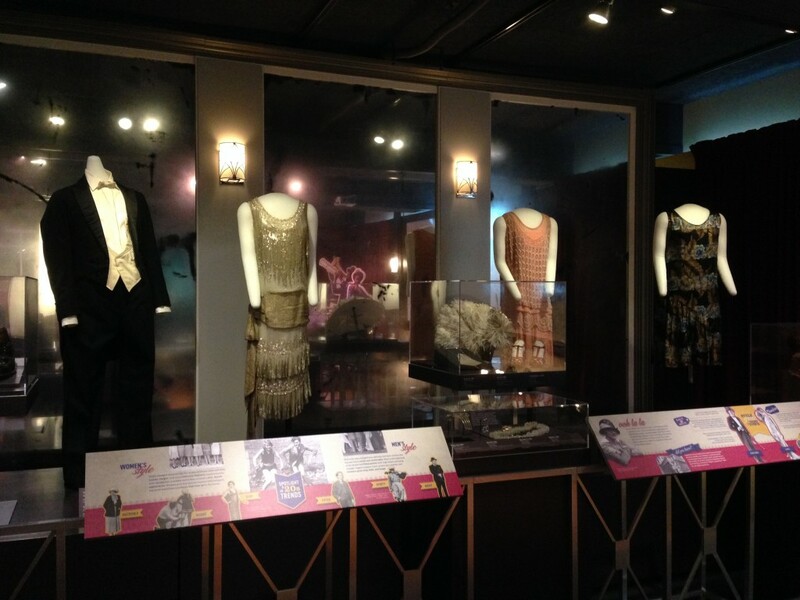 Of course, the exhibit also brings to life all of the scandal and glamour of the 1920s, most notably in a speakeasy room complete with bar, powder room and recordings of Jazz Age performances. Be sure to enter by knocking on the unmarked door! Inside, it feels like all you need is a glass of bathtub gin…or maybe not. Luckily, after many hours in the museum, I didn’t have to find the nearest speakeasy (although I certainly could have, thanks to this awesome map created by KCTS 9). Instead, I made my way to Fremont Brewing’s inviting beer garden to while away the rest of my afternoon…local (and legal) brew in hand. 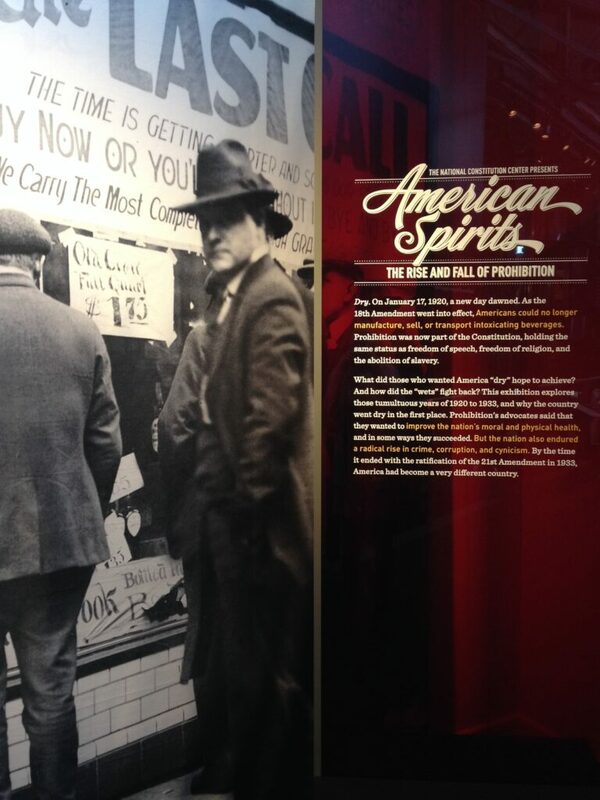 Visit American Spirits: The Rise and Fall of Prohibition at MOHAI through August 23, 2015. Plan your trip and purchase your tickets here. 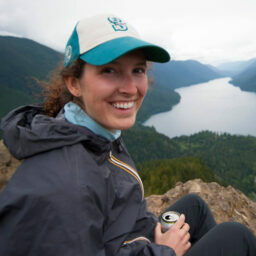 Margaux Helm is a native Pacific Northwesterner and was previously Senior Marketing Coordinator at Visit Seattle. She likes her coffee strong, her art abstract, and her travels frequent. When she's not traveling the world, you'll likely find her cozied up with a book in a Capitol Hill coffee shop or wandering the nearest farmers market.